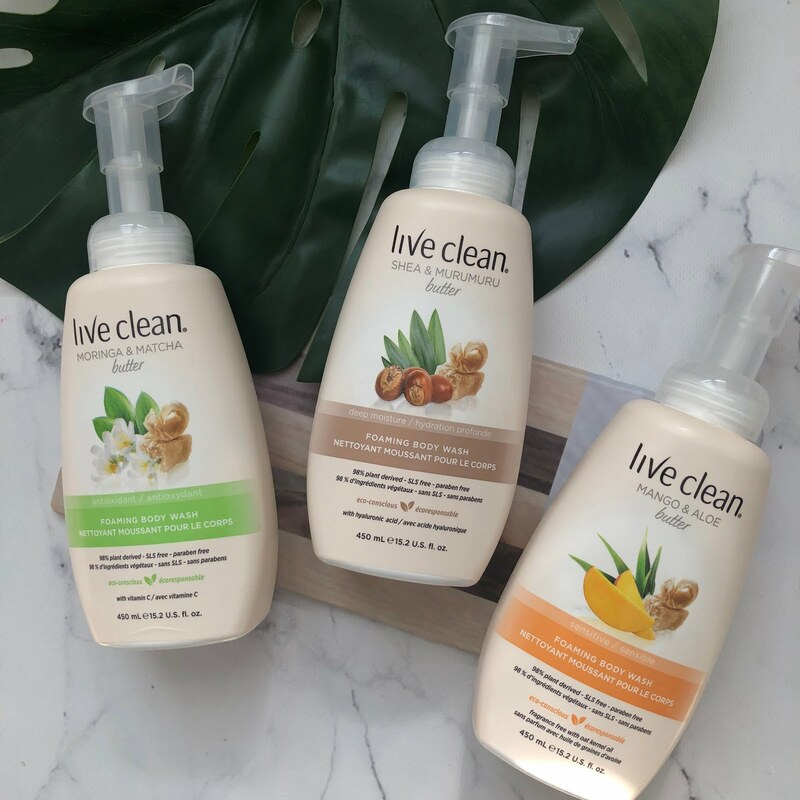 Being a beauty blogger has provided me with the opportunity to try out different types of skincare that I would have never been exposed to or had the chance be introduced to. For those who have been following my blog from the start, or know me in person, will know that I have a passion when it comes to skincare and I take pride in my skin. 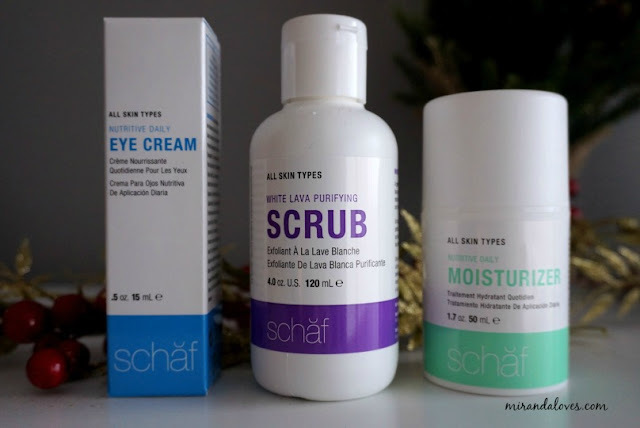 I was referred to Schaf Skincare by a fellow beauty blogger who had introduced them to my blog, and was contacted by them to try out their products. I was sent three of their 5 products - 1. Nutritive Daily Eye Cream ($40) 2. White Lava Purifying Scrub ($30) and 3. Nutritive Daily Moisturizer ($45). 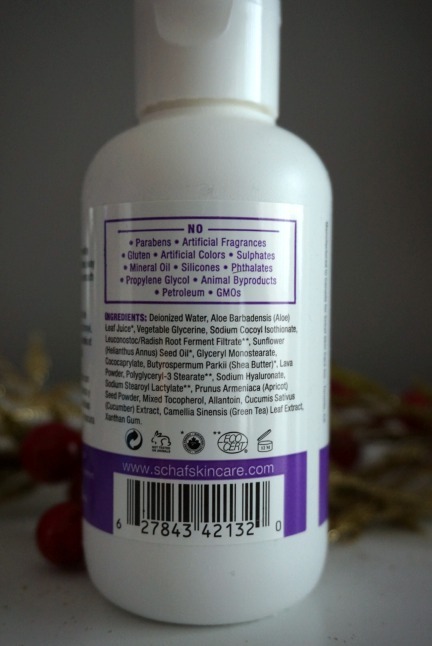 "Schaf products contain a unique blend of plant extracts formulated to clean, nurture, and protect your skin, utilizing natural and organic ingredients that perform exceptionally well, without the harsh, harmful, synthetic chemicals, irritants, and fragrances commonly found in commercial brands. Each formula blends natural and organic, skin-friendly botanical extracts together with gentle high-performance hydration technology designed to safely improve the appearance and health of your skin. 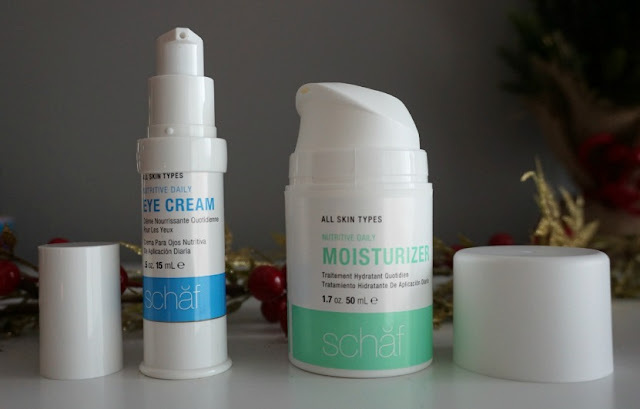 All Schaf products are based on the science of hydration, with an oil-free moisture binding component that is equally effective on oily or dry skin, and even for those with sensitive skin. 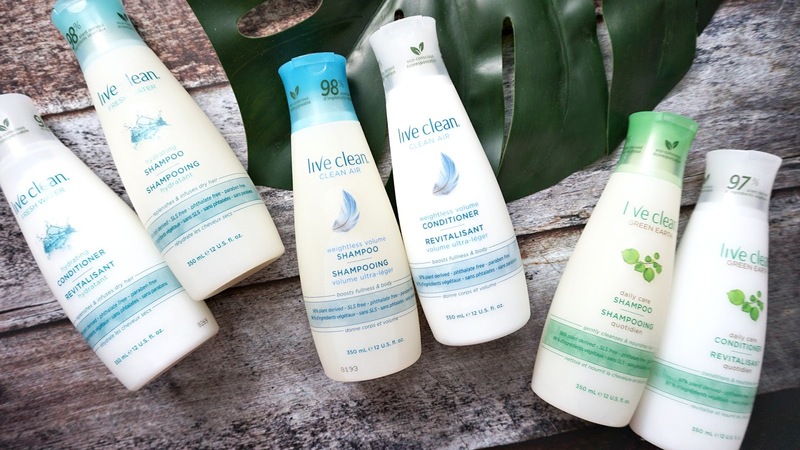 All of their products are made without: Parabens, Sodium Lauryl Sulfate, Artificial Colors, Sulfates, Mineral Oil, Silicone, Phthalates, Petroleum, Animal Byproducts, GMOs, Gluten, Propylene Glycol." I love the packaging of the eye cream and moisturizer - it comes with a pump dispenser allowing you to control the amount of product you want to use each time. Also, it keeps the product hygenic, as it is not exposed to contaminants each time you open it, or when you dip your finger in to use it. Secondly, I really appreciate the simplicity of the packaging. From the label to the containers used - no fancy heavy glass containers which makes it fragile. My favorite product of the three, would have to be the eye cream. It is very light but hydrating, and comes yellow tinted. It doesn't do much for color correcting, however it will help with brightening the eye area. I love how hydrating this product is, without being greasy. It doesn't interfere with my concealer and doesn't cause it to crease. In addition, it doesn't cause any breakouts for me. I have tried super emollient eye creams before which caused little break outs and oil bumps to occur in my under eyes. Next on the list is the face scrub. the exfoliating bits are made from ground apricot seeds that polishes away your dead skin cells to leave your skin baby soft. As it is made with apricot seeds, it is a bit more abrasive in texture. This reminds me of the St. Ives consistency and texture, which I love. The face cream is really moisturizing as well - it is thicker in consistency so a little goes a long way. I personally prefer gel-like products during the day and it doesn't matter to me what type of product I use at night as I am sleeping, it won't interfere with the application of makeup.